As luck would have it, a serious bug in the Wii U version of Freedom Planet was found today that causes Wii U consoles to freeze, requiring a hard reset of the system. This bug only occurs in retail versions of the console, so neither Nintendo nor MP2 experienced the issue and we were only made aware of it by members of the press who tried the game over the past couple days. We cannot allow the game to launch in a state that would potentially cause damage to Wii U consoles or make players think there is something wrong with their console, so we are delaying again until the issue is fixed. No one is more disappointed at this than me, but we have to do what we have to do. Thank you for your patience and we will continue to update you on the status of our Wii U release. We experienced the above issue in our own advance review code of the game, so it is certainly something that needs addressing. The title of DiDuro's forum post states that the release date has been pushed back to the 20th of August. Notice of the delay on Twitter has been met with kind responses so far, including encouragement from NOA's indie relations manager Damon Baker. 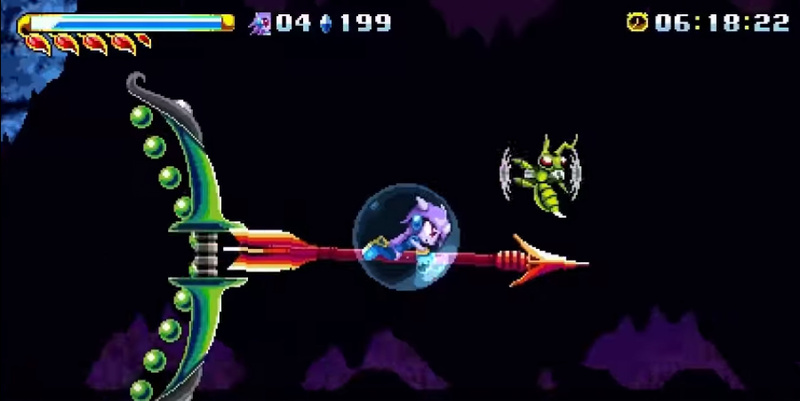 Have you been waiting for Freedom Planet's debut on the Wii U? Let us know what you think below. 2 delay reports in such a short period of time! Wait, you mean they're going to get rid of the bugs? I thought this was supposed to be similar to Sonic. I'm glad it's just another week though i was really looking forward to Thursday. At least it's just a week, better than a few months like some games. I also heard via replies on their facebook they plan on trying to get it released for other systems. I'm excited for this one. Classic Sonic is my jam. People look back at those games now and say they're crappy but, nah kid they are still very good. How strange, I never ran across this bug in my initial playthrough. Perhaps I got lucky? Wait what? CLASSIC Sonic is never seen as crap (well, unless you're talking about Tails' Sky Patrol, Sonic Labyrinth or Sonic Drift). Newer games yes... but certainly not classic. The Day of Delays, is it? As disappointing as this is, I commend them for actually delaying it to fix the bug, rather than say screw it and screw Wii U owners, we'll just patch it out and hope not too many people get pissed off. That's not good that there is a difference like that between retail and development machines, kinda defeats the purpose of using them when it comes to testing. That's cool. I really enjoyed the E3 demo and have been waiting for this one so I think I can handle another week. @Jason723 Mario games have bugs too, so does that make them "bad" games? ...so? A bug that a speedrunner can use to beat the game faster probably falls under "good bad bug" (meaning the game doesn't suffer despite it doing something it's not supposed to), and thus adds MORE enjoyment. And the average player probably won't see/ experience it. So I don't see how that makes classic Sonic crappy. It seems like there is alot of delays with games that are suppose to come out. Its bad enough that there isnt much games being offered already. At least this is only a week. Still love the Wii U, but need more games, lol. Guess ill just play Sonic 2 then until this comes out. I played this game on PC and I like this game. This game, however, was designed primarily on PC but surprisingly not optimised in my i7 computer with noticeable slowdown. A lot of recent sonic games are better than this (though Sonic Boom was a failure). When people say this is better than sonic this is a conundrum to me. Better a delay than console crashes I say. Will be looking forward for a 3DS port. Too bad they didn't do this with Binding Of Issac, great game but I had to restart my Wii U four times already. "We cannot allow the game to launch in a state that would potentially cause damage to Wii U consoles or make players think there is something wrong with their console, so we are delaying again until the issue is fixed"
That's the way! I am happy they solve the problem before it gets released. I'll happily wait. Oh wait... this is the NA release, WHERE'S THE EUROPEAN RELEASE DATE?! This game's demo was amazing! I want the full game ASAP! @GreatPlayer Some of the slowdown, in particular during some of the boss fights, is actually deliberate as its meant to recreate the experience of playing on a 16 BIT machine (minus the full voice acting). Well at least this delay means it will be released after I return from holiday, I just hope its before I go on my next one! Anyone know if there exists a SNES, Mega Drive or Saturn shaped pad that works on a Wii U? (I know the Gamepad D-pad is like one of the best out there IMHO but I'd like to recreate that classic retro feel). I really respect them for giving details on what the bug was. Usually, we only get a really generic reason for any delays. I don't mind, haven't even touched the demo. As others have said, kudos for being upfront and willing to have a working game from the start. Kind of amazing there's a difference between retail consoles and dev consoles. I've got the pc version and this really is a great game. I still play the game and I'm considering getting the wiiU version too. Yeah it seems at odds with the whole point of the dev kit.Game freezing bugs are incredibly common on Wii U I wonder if it's because the Dev kit has more memory than the retail Wii U.I recall every launch title needing a patch and the Wii U itself needing a substantial update to alleviate the amount of game freezing issues. In all honesty at launch, Wii U was Nintendo's most unstable console ever released. I'm excited for this release, but would rather wait and get a working copy certainly. My wife was just exclaiming the other day how she wishes she had a "new Sonic" game to play, and I hope this will fill that desire! I can wait, really looking forward to this. Better a working game later than a broken game now. Q) Have you been waiting for Freedom Planet's debut on the Wii U? A) I have been waiting for the release of this game. That said, this delay doesn't affect me at all, because the game does not even have a release date for the UK yet. It's hard to suffer from a delay when the release date is still unknown. Still, I'm glad to hear that the development team decided to delay the game upon learning of this problem, and were quick to inform everyone of this. I shall envy those in the US when this delayed release eventually comes out, as I patiently await for it's release in the UK. I look forward to playing it.